Ornithologists around the world are racking their brains trying to understand why it is that Canada Geese have changed their migration patterns so drastically in recent years. The geese have taken a liking to the chilliness of the northeast, and there’s been a notable influx of them on Harvard’s campus. Never mind that we haven’t experienced proper winter weather yet; these geese are roaming the campus in swarms, no doubt burning up under their many feathers. Yes, the geese we’re talking about aren’t the grayish-brown bodied, black-necked, winged ones that roam the wild, but rather the black, chunky, wearable kind—Canada Goose jackets that exist in the vast wilderness of your local Saks, Bloomies, or Neiman Marcus stores for a “reasonable” price of about $1000. We’re just as baffled as anyone else by the popularity of these jackets on campus. Sure, we’ve all given in to some pretty basic fashion trends (we’re still pretty attached to North Face jackets and Uggs, tbh), but no fad is compelling enough for us to drop “ten hunnas” on a plain black jacket with a small red symbol on the sleeve. Even if we did have that sort of liquid cash on us, there are much better things to buy: 8 of Mankiw’s textbooks, 59 Annenberg guest passes, or three nice, warm, and distinctly-designed Patagonias. Still, we decided to give the Goose a try because we thought there might be a reason for all the hype. We stopped by Beyond on Brattle Street, and upon entering, were stunned by the pristine array of Geese on the racks. It led us to wonder who the target audience is for a store that essentially only sells this one exorbitant jacket brand. Just Harvard students in the 1 percent? Anyone else wish we had a Target or Old Navy instead, for the other 99? Anyway, we hesitantly tried some black fur-length coats and were instantly displeased. We felt stifled. Our creative expression robbed. Our individuality smothered. And then, we felt emotional. We wondered why people would subject themselves to such a criminally bland wardrobe choice, or why they would wear a coat purporting to be a “Canada Goose” that is lacking in any obvious goose-based insignia. Over a year later, we’re still convinced something fishy is going on with this brand. Is Canada engineering a global takeover? Should we run—full speed—from folks donning these coats? 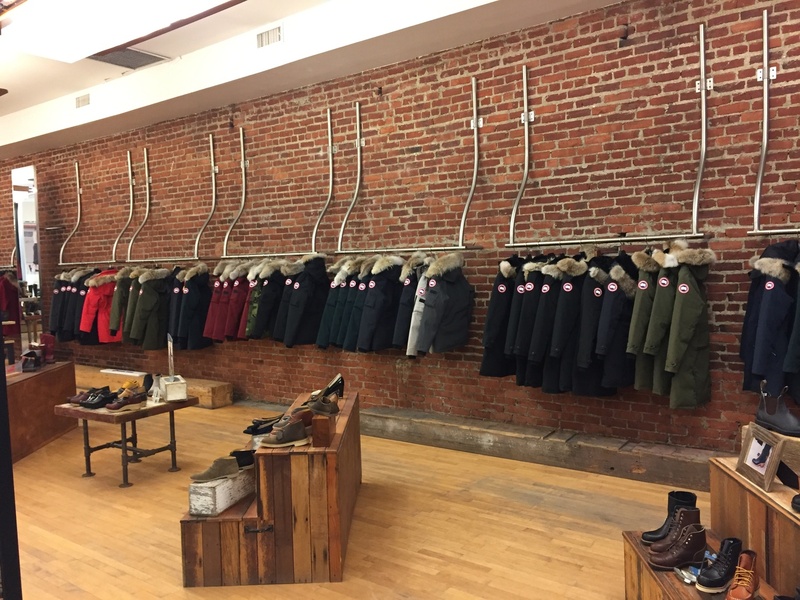 Believe it or not, we have friends at Harvard who own Canada Goose coats, and we definitely make an effort to ensure that this doesn't drive a wedge between us. After all, at the end of the day, de gustibus non est disputandum. To each their own. Still, we recommend you keep an eye on them. Maybe even two.